The Banila Co Clean It Zero Original has been renewed! This 2018 edition has removed Mineral Oil, artificial colouring, artificial fragrance plus other ingredients and replaced them with natural ingredients! This oil cleansing balm still has Papaya Extract and Acerola Extract (rich in Vitamin C) but now has additional Vitamin E, leaving your skin clean, bright and moisturised. It is best used as the first oil cleanse and will also help refine your pores. It has a pH level of 6.1 and is suited for all skin types. If you purchase this product you will earn 29 Points! This oil cleansing balm now has an even softer and smoother sherbet texture. Once it touches your face, it melts into a cleansing oil and effectively removes all stubborn makeup, dirt and excess sebum. Papaya Extract provides a gentle, natural exfoliation of your skin and Acerola Extract brightens your complexion. The addition of Vitamin E helps to strengthen your skin as well as protect it against hyperpigmentation and sun damage. Papaya Extract – contains enzymes that mildly exfoliate dead skin cells and promote collagen production to firm and brighten skin. Acerola Extract (Cherries) – rich in Vitamin C and antioxidants. This ingredient improves skin elasticity, protects your skin against free radicals as well as brightens and evens out skin tone. 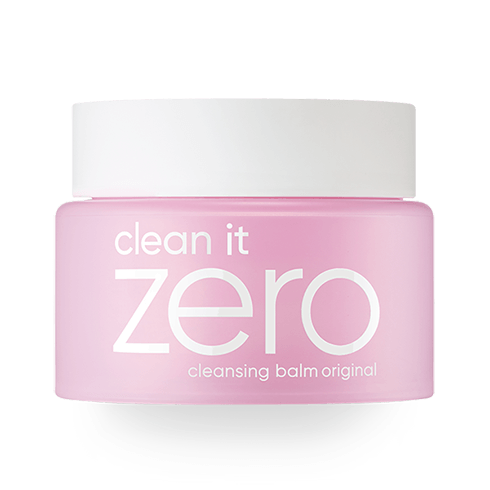 Find out more about the Banila Co Clean It Zero cleansing balm range here. Use the spatula to take a small amount of product and apply onto a dry face. Rinse well with lukewarm water, or use tissue to wipe off the balm with gentle strokes. If the followed signs of irritations occur, discontinue use and consult a dermatologist. If rash, swell, itchiness, occurs. If those symptoms have been occurred on your skin from direct sunlight . Do not use on broken or eczematous skin. Banila Co is a contemporary Korean beauty brand that has taken the cosmetics and skincare industry by storm. Banila Co creates high-quality products and associates skincare with a fun lifestyle. 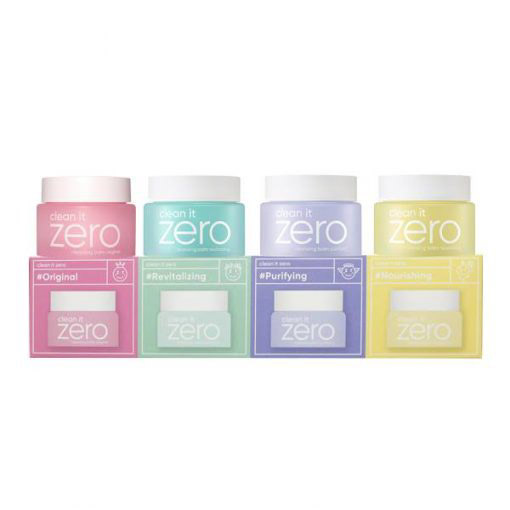 Their most popular products are the Clean It Zero oil cleansing balms.